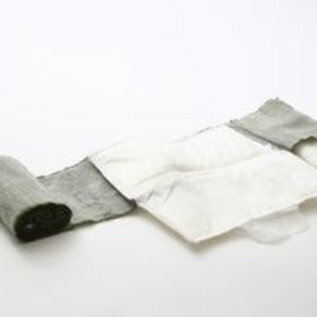 Expandable sterile pad – effective dressing for severe wounds, burns and amputations. Detachable sterile pad – effective dressing for entry/exit wounds and multiple wound locations. Compact, lightweight (90 g / 3 Oz.). The T3 Bandage provides a multifunctional solution to a wide range of injuries in a compact package. 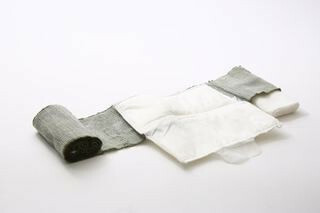 While facilitating the treatment of conventional wounds, abdominal and large wounds, amputations, entrance/exit wounds and more, the bandage allows cleaning, packing, coverage and compression of single and multiple wounds. This all-in-one bandage reduces the amount of equipment military personnel carry and is suitable for first aid combat emergency kits. The bandage is easily applied by untrained personnel and makes an ideal personal field dressing for every soldier. The T3 Bandage features a fully expandable and detachable large sterile dressing pad, and elasticized cloth leader, an easy to use closure bar and an extractable gauze for cleaning/packaging and secondary wound dressing. First Care's emergency Israeli bandages are the best bandages in the world, produced in Israel for the American military. They are developed and manufactured as innovative first-response medical products to improve field hemorrhage control and to save lives. These bandages has been adopted by military and civilian organizations worldwide.